As a small e-commerce brand, you know the role that search engines play in marketing, so you may not be a stranger to the term ‘e-commerce SEO’. Chances are that you may have even read up on it a little – and felt none the wiser for doing so! Well if you’re after free, consistent, quality traffic, and you know little to nothing about e-commerce SEO or SEO in general, you’re in the right place. SEO is an acronym for Search Engine Optimisation. SEO is the act of tweaking your website so that it appears as close to the first position as possible in a relevant Google Search. When you Google the word ‘weather’ and your hometown, have you ever wondered why weather.com and accuweather.com are always near the top of the search results? That’s because these companies know a lot about SEO. Google uses algorithms to ‘crawl’ your website. This program looks at the raw code of your website, reads it and gets an idea of what your webpage is about. These weather websites are optimized so that Google’s crawlers know that their content is about the weather in your hometown and not the best asparagus pie recipes. Google really wants to give its searchers the best possible results. At the end of the day, if you’re searching for “how to change a bike tire” and you’re presented with a guide on changing a car tire, then Google isn’t doing its job properly. To solve this problem, Google developed crawlers that are really, really smart. They want to put the most valuable content on the front page of Google so that its users can find what they want. So, when you let Google’s crawler bots know exactly what your website is selling, you ensure higher rankings in more searches. How can I use e-commerce SEO to improve my business? SEO brings in highly-engaged, ready to buy traffic – for free. You don’t need to be an e-commerce mastermind to know that getting more traffic to your store is good. But engaged, ready to buy traffic is the best kind of traffic to have in your store. And this is what SEO can provide. Think about it for a second. If someone wants to buy what you’re selling (leather hiking boots, for example), they’re going to google ‘buy leather hiking boots’, ‘best leather hiking boots’ or maybe even ‘cheap leather hiking boots’. These search terms are called keywords – more on these later. 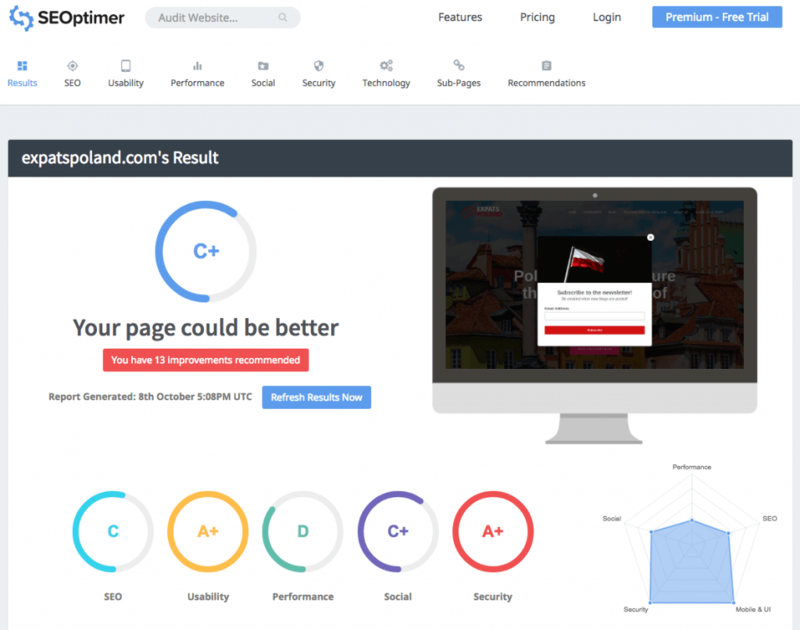 If your website is optimized in the same way that those weather websites are optimized for ‘weather Pittsburgh’, then a majority of the people who Google ‘buy leather hiking boots’ will see, and ultimately visit your website. By doing a few simple SEO ‘tricks’ (they’re not tricks, more like good habits), you’re telling Google that your web page is the best page out there for a specific search term. Well, as you read earlier, Google is smart. Gone are the days of tricking Google. In fact, Google is so smart now that if it catches you trying to trick it, it will give you a beating. It will drop you down the search results faster than an unhappy customer leaves a negative review. Become such a wealth of information on a topic that other websites link to you. But how does this work for e-commerce brands? SEO is hard and involves creating a resonant environment involving your web page, social media, branding and wider network of partner companies. The good news is that because it’s so darn complex and time-consuming, you can just about bet that your closest competitors aren’t doing it and that you can basically copy what the big brands who sell similar products are doing. The best place to start your e-commerce SEO adventure is with keywords. Keyword research is the process of finding the search terms that potential customers are searching for. Remember how we were discussing Google providing users with accurate weather information earlier? Well, there is a difference between searching for general information, such as the weather and searching for products to buy. 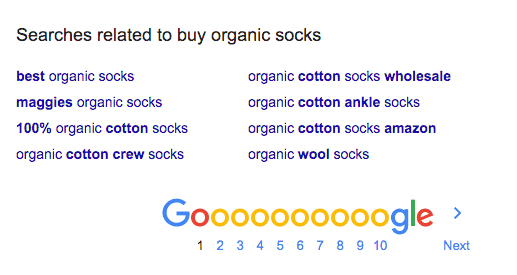 When comparing two search terms, like “buy cat print socks” and “Metallica band members”, the biggest difference will be in the way the search results are displayed. One term has buying intent, the other is a request for simple information. This is differentiated by the keyword ‘buy’, but even without including it in the search term you will still get product pages in Google’s search results. This, of course, does not count for informational searches like “Metallica band members” as they will never be associated with buying intent. But feel free to give it a try. 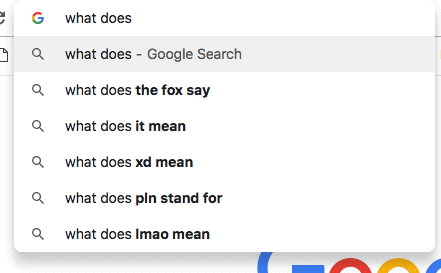 Everyone has seen the funny suggestions Google provides when you’re halfway through typing a search. Believe it or not, this is the best place for you to start with your keyword research. Further down the page, you’ll also see some suggestions Google has if this search didn’t provide you what you were looking for. It’s a wealth of information that you can use to find out what people who search for the name of your product are interested in. Note how some of these searches have 3 or 4 words – these are called long tail keywords and are more specific. With more specificity, comes less competition and better conversion rates. Up until now, we’ve been doing keyword research using Google – that’s great as we’re getting information straight from the source. These are just a few of my favorites and they all excel in their own little way. You can find more keyword research tools in our 25 best SEO tools of 2018 infographic. If you’re serious about SEO, it’s worth testing out all these products, and then committing to using one (or all) on a regular basis to find the keywords that best suit your brand. But before you go jumping into the bottomless pit that is SEO, it’s important to make sure that what you already have is performing as best it can. A house is only as strong as its foundation, and the same idea applies to your SEO. You can spend hours and hours tweaking and adjusting things, but if you don’t have the most basic of problems solved, then you’re just chasing your tail. Good SEO is based on having a website that is laid out correctly, easy to navigate, quick to load and unique in its own way. Therefore, you’ll get quicker wins if you fix obvious issues. One great tool to help take care of this is Seoptimer.com. All you need is the URL of your website. Just type it in and then go make yourself a cup of tea. The tool will go through every part of your website that it can and show you what you should change. Let’s use my personal blog, expatspoland.com as an example. 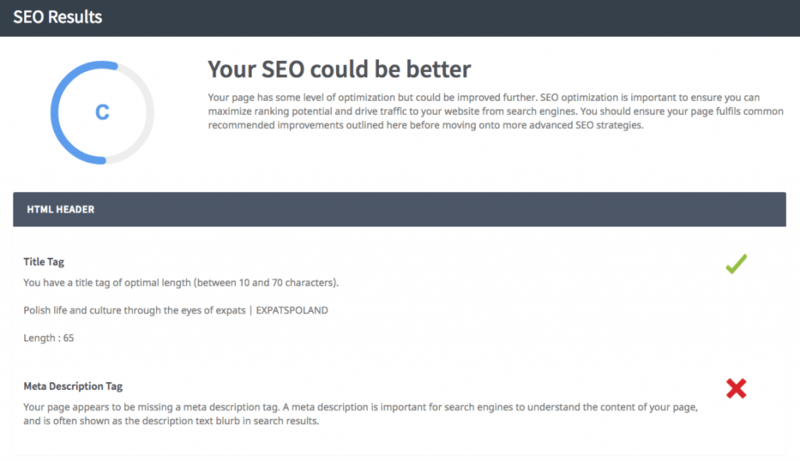 Here you can see a pretty generic and easy to understand assessment of your website’s SEO. Scroll down a little and you get some more specific details of what the problem is. As you can see, SEOptimer has picked up that I have title tags. On the other hand, I’m missing a Meta Description (that’s embarrassing). Although SEOptimer is just a quick, general overview, it’s a great place to get started with SEO. These are just a few of the things that SEOptimer will look at, and why they’re important. This area is SEO in its essence. By filling out meta descriptions, using keywords in the right areas and using them the correct number of times, you’re giving Google the most important information about yourself that you can give. Google now says that the most important part of your website is the mobile version. If it looks good and it’s functional on a mobile page, then it’ll be ok elsewhere. You also need to make sure that the page is easy to navigate and that you can get to just about anywhere on the website in a few clicks. Google will see a webpage that loads quickly as more important than its competitor that loads slowly. As a result, Google will put your web page higher in the search results. There’s some speculation into the role that Social Media plays in the SEO world, but one thing is for sure: having social media profiles for your e-commerce brand is never a bad idea. For the same reason that Performance is an important factor, so is security. If your website is unsafe and leaves people’s payment details unencrypted, then Google isn’t going to want to be your friend. A 404 error is what happens when someone lands on a webpage that doesn’t exist. If you have people regularly landing on a page that doesn’t exist, Google won’t like you. The best way to find and fix 404 errors is to use a tool like brokenlinkchecker.com and remove the page or put a 301 redirect on that page. You might have some fantastic products, but if the product page for your red socks is the same as the product page for your blue socks, Google won’t like you. Removing duplicate content shows Google that your website is built efficiently. Tip: Use product variants, not completely new pages, for color, size and style variations. As mentioned earlier, your largest competitors probably know a thing or two about SEO. They’re also a great source of information when you want to find some simple keywords that might be relevant to your brand. 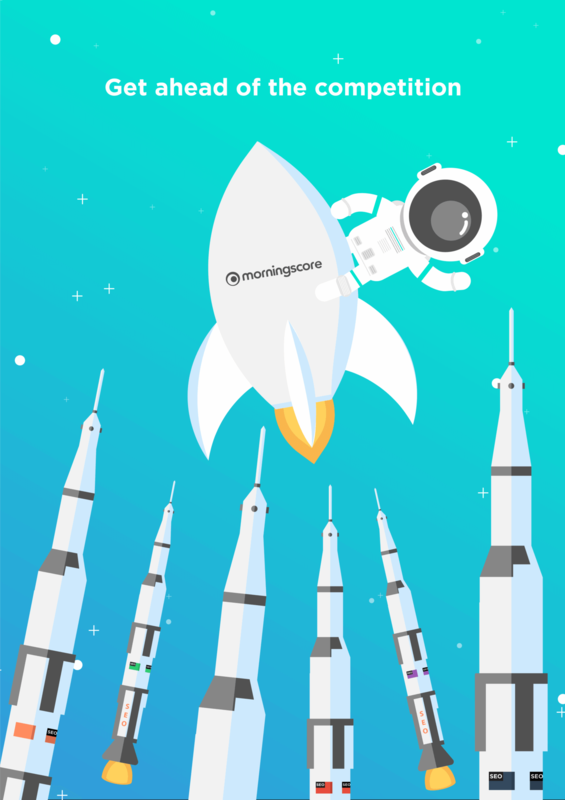 Morningscore can be used to discover which keywords your competitors are using, what their backlink profile is like and how much effort they are putting in into their SEO activities. Optimize each blog page for one specific keyword that your product pages don’t contain or rank for. Use it to show how your product solves the problems of customers. Just like your web pages, blogs need to be high quality and reader-friendly. E-commerce SEO has many components and I’ve covered just some of the basic ones. I hope you feel more ready now to do more research on the more advanced aspects and bring your e-commerce site to the next level. Phil is an Australian living in Warsaw, Poland. He’s responsible for creating content for Packhelp.com and getting it in front of the most important eyes. In his free time, he enjoys Dinosaurs, his girlfriend, his dog & writing for his side project Expatspoland.com – in no particular order.